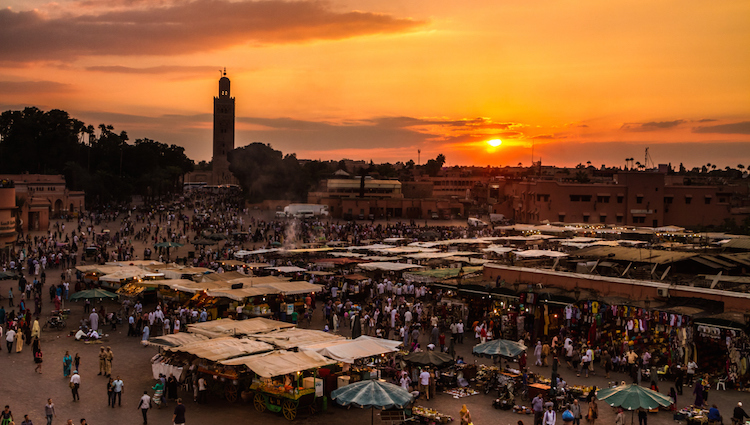 At the just concluded ICANN 55 meeting that was held in Marrakech-Morocco, the IANA Transition Coordination Group (ICG) submitted the final proposal to take over stewardship of the IANA functions. This final proposal was received by the ICANN board on 10th March 2016 and later submitted to NTIA for approval. The IANA Transition process came about as a result of the global Internet multi-stakeholder community agitating for the removal of the U.S government from control of the DNS root control. In March 2014, the National Telecommunication and information administration’s (NTIA) announced its intention to transition the oversight role of the IANA functions to the global multi-stakeholder community. This phase was highly anticipated to be completed by 30th September 2015. However, after factoring in time for public comment, the U.S. government evaluation, and implementation of the proposals, the Internet community projected that it could take at least a year for the process to complete. Following a directive from NTIA, ICANN formed the IANA Stewardship Transition Coordination Group (ICG), which comprised of 30 members from 13 constituencies. Each constituency was responsible in forming their own working groups to develop their respective proposal. On it's part, the Numbering Resources Community comprised of the Resource Organisation (NRO), the Address Supporting Organisation (ASO). The five Regional Internet Registries (RIRs) formed the Consolidated RIR IANA Stewardship Proposal Team (CRISP Team) to develop their proposal. On the other hand, the Protocol Parameters community comprised of the Internet Architecture Board (IAB) and the Internet Engineering Task Force (IETF) created the IANAPLAN Working Group. Correspondingly, the Domain Names Community formed two working groups: the Cross Working Group (CWG) Stewardship and the Community Cross Working Group (CWG) Accountability. Why Is The IANA Transition Paramount? The special ties between ICANN and the U.S Government have been a major focus of criticism. A section of the Internet players feel that the global accountability of ICANN could be in jeopardy if the mandate is vested on one country alone (the U.S). Besides, others feel that considering ICANN is based in the U.S, it’s legally feasible and technically possible for the U.S to order ICANN to delete country domain names of states perceived to be nemesis of the U.S for instance Cuba, Iran, N. Korea. ICANN stakeholder community therefore projects that the IANA Transition will have substantial implications on ICANN. It is believed ICANN will extremely be held accountable to the the global stakeholder community as opposed to what has been the norm (to the U.S government). As a result, this accountability will support and enhance multi-stakeholderism, a key Internet Governance principle. This move will ultimately bolster the openness, resilience, and security of the Internet. In the past, some Internet pundits have expressed pessimism on the IANA process stating that the U.S congress may eventually reject the proposal, and acquire the mandate to oversight ICANN. Following the submission of the complete IANA proposal to NTIA, and an imminent regime change in the U.S, the Internet fraternity awaits with bated breath to unfold if the process is indeed a test case. At the time of publishing this article, the NTIA had started reviewing the IANA Transition proposal, a process that could last up-to 90 days. The NTIA must then get the proposal approved before ICANN's IANA functions contract expires in September 2016, and well before the expiry of Obama administration’s tenure. The global stakeholder community can only hope that the Transition process will stay on course to a full fruition. ICANN, any of their organs or agencies nor of any other organisation(s) mentioned or discussed.